Summer in Korea guarantees a few things, hot humid days, the loud whir of cicadas and the guaranteed release of a jingoistic cashgrab. Recent summers have gifted us with Roaring Currents and Northern Limit Line and last year followed suit by treating us to Operation Chromite. Featuring a tacked on performance by global star Liam Neeson, this Korean War offering might have been more egregious had its clearly venal nature not been so readily apparent the moment the project was announced. Neeson appears, here and there, mostly in the same boardroom, as General Douglas MacArthur, who puts together a crack team of eight Korean soldiers to disguise themselves as a North Korean inspection unit in what was dubbed as Operation Chromite, a plan that allowed MacArthur to trigger the Incheon Landing, the event that turned the tide of the war. 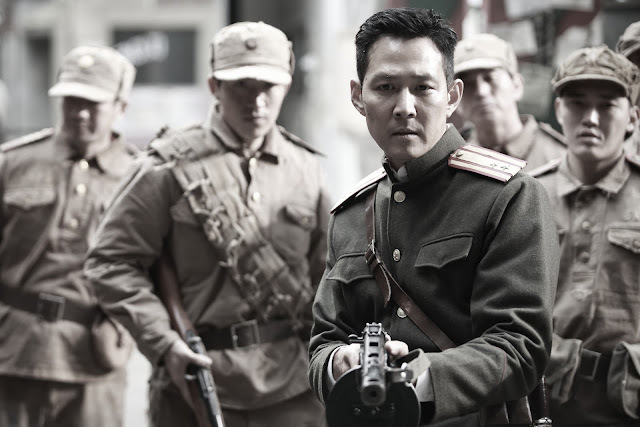 While most Korean blockbusters shoot for around five months or more and spend quite a bit of time in post-production, Operation Chromite was before cameras for just three months and premiered another four later. These facts are hardly surprising when viewing the finished product, which feels rushed, lifeless and at times hard to follow. There's no cohesive style to the film and it lacks clear narrative arcs, in part because none of the characters are given any definition. Despite its $14 million budget, a significant sum in Korea, Operation Chromite sidesteps many of the expected thrills of a war film as it plays out like more of an espionage thriller. Yet in that regard, the film also falls short of any real suspense or exciting set pieces, comparing poorly with 2015's slick period spy thriller Assassination, which also shared this film's lead Lee Jung-jae. He's far from the lead of the film, but Neeson, a big draw in Korea, has been front and center in the film's marketing since the day his role was announced. To be fair, the prospect of Neeson playing MacArthur was an enticing one but any fears raised by the stunt casting have been realized as the performance proves to be one of the worst in his career. He rarely shares the screen with any of the film's local stars, instead occupying a room with second-rate expat actors in scenes that feel like they should belong in another film. As the archetypal hero, Lee Jung-jae is serviceable but the part is a far cry from the fun roles he's clearly relished over the past few years, including in The Thieves and The Face Reader. Affording his cruel North Korean villain a cold, reptilian air, Lee Beom-soo more or less fits his role, but otherwise feels like a haphazard caricature. 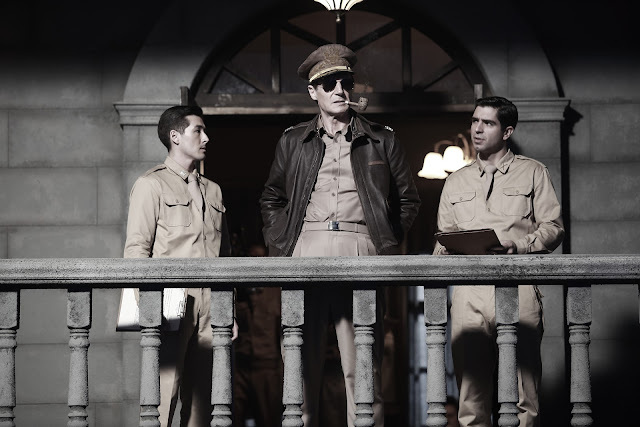 Operation Chromite guns hard for an older, more conservative audience, but even its nationalist tone feels disingenuous. As expected, the melodrama ratio is on the high side for an action title but the film's dramatic beats, with their tearful yet hollow characters, lack any substance and beget humdrum set pieces devoid of the fiery urgency clearly desired. From director John H. Lee, who previously scored hits with the romantic drama A Moment to Remember and 71: Into the Fire, another Korean war title, Operation Chromite is a calculated and soulless enterprise from start to finish that predictably drew in large crowds before careening down the highway to eventual obscurity.